I could not get enough of this delicious salad. It’s one of those “what have I got in the fridge/pantry” combos after 2 long days of fun but exhausting family events….ah Christmas, I love you but I’m tired now…. Pull kale leaves off stem, wash, then chop finely & massage w 2 teaspoons olive oil & the sumac until it is a bit brighter green & doesn’t feel so rough. Once the quinoa is cooked, remove from heat. Once it has cooled down, stir through cumin, nutritional yeast, carrots & kale. 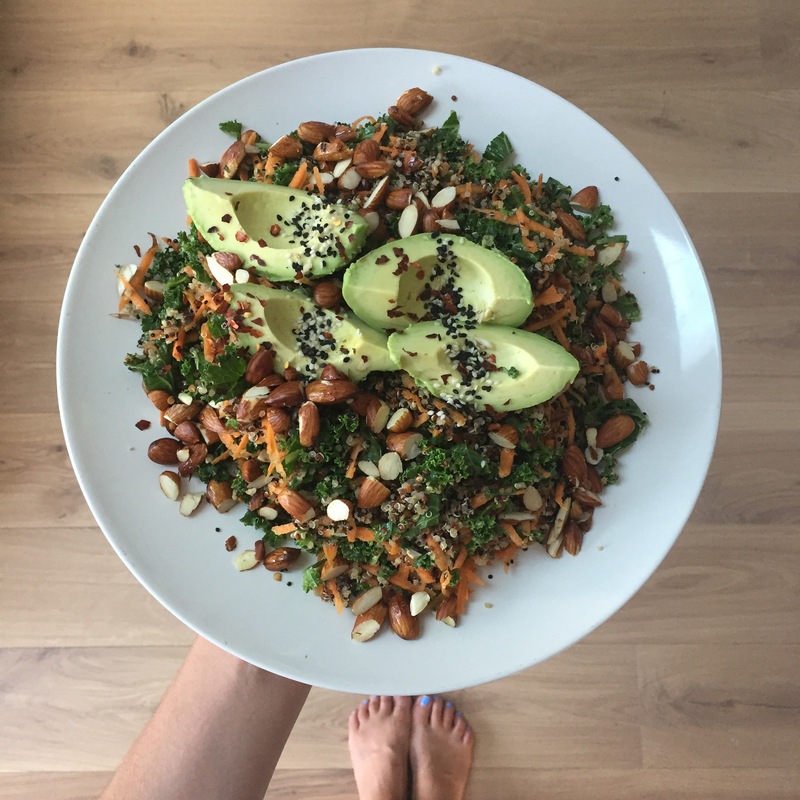 This entry was posted in Recipe and tagged carrot, cegan, clean eating, easy salad, healthy eating, iqs, jerf, kale, low fructose, nourishing, qionoa, vegan recipe, vegetarian by 6 Clean Ingredients. Bookmark the permalink. 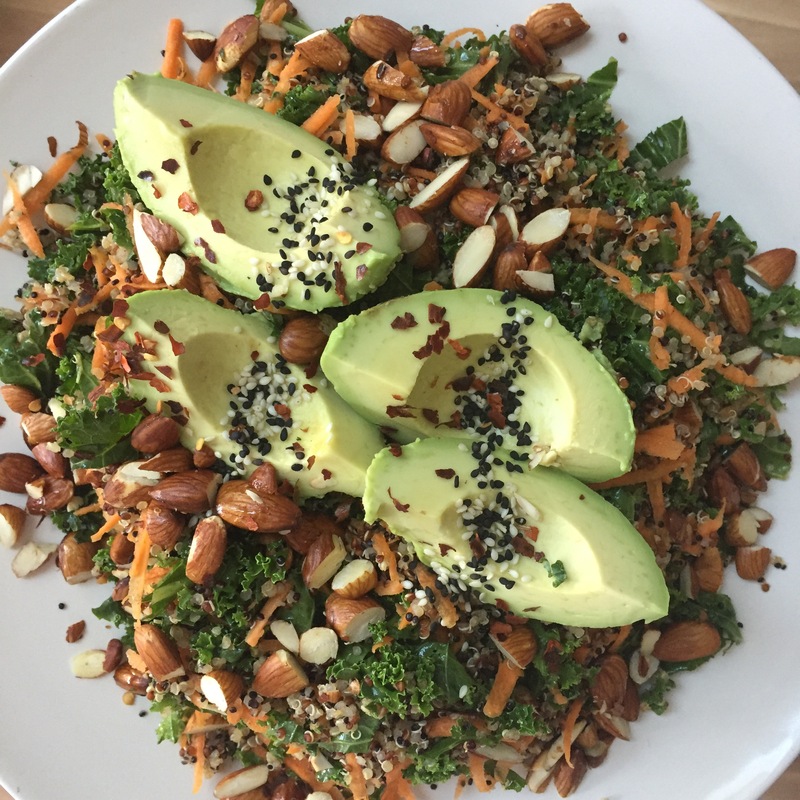 Pingback: Kale, carrot & quinoa salad — 6 Clean Ingredients | Amazing And Fantastic Cooking Recipes For You!